‘Stalk soup’ (November 1-15, 2010) reminded me of an experience I gained while working at a tea plantation in the Republic of Cameroon as a general manger. From the country’s commercial capital Douala, I, along with my family, went north to Bamenda, and from there to the edge of the North West Province at an elevation of 6,000 feet to reach the plantation. During the road trip we passed through grasslands, with grass growing six feet high. Rains in March-April made mushrooms a common sight. Some of them were 46 cm to 50 cm in diameter with stalks as long as 20 cm. They were put up for sale at 100 francs (Rs 3). We bought one. The seller told us, “This can control diabetes.” Our cook made delicious sliced stalk soup and many other sumptuous dishes with the mushrooms. The stalk tasted better than the spongy mushroom cap, and both were bigger than the oyster mushrooms available in India and were not slimy when cooked. I wonder if India could import the spores. There is great scope for the Diabetic Association of India to promote this variety. The editorial ‘How climate ready are we?’ (November 1-15, 2010) advocates against building on flood plains and highlights the futility of taming rivers within embankments to prevent floods. But how does one channelise river waters if not through dams and canals? Be it cold wave, heat wave or floods, all three phenomena are climateinduced. Then why are floods singled out and treated as a disaster? People brave chilly weather or extreme heat using their own resources. Why does not the government let individuals face floods by improving their own dwellings? Let floods be treated as natural happenings. Man needs to respect the territory of rivers to live with floods. Rest would follow. The problem is that neither India nor Pakistan has shown urgency in defining rivers’ flood plains and make them inviolate. No one underlines that population magnifies the impact of natural disasters. It is evident that any adversity, natural or manmade, would have a wider/deeper impact if humans occupy every square inch of land. God has no choice but to resort to calamities of high magnitude to create a level playing field for nature and other species on Earth. People seek fertile land to secure livelihoods, making it difficult to keep flood plains unpopulated. So the government needs to manage the flow of water and people simultaneously. 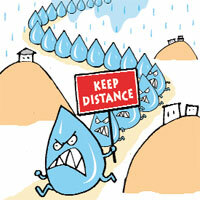 For that it should store flood waters during extreme rainfall periods and release them gradually. Dams that could protect the public are missing. There is a need to acknowledge the positive contribution dams make for sustainable development. There is a little-known positive side to floods. The falling water tables of Punjab have been significantly recharged. The talk of making Mumbai a worldclass city is a farce. The only similarity between world-class cities and Mumbai is the standard steel, glass, aluminium, fully air-conditioned and self-proclaimed eco-friendly buildings with nondescript facades. 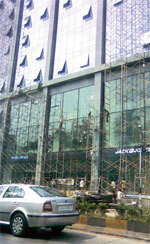 Labourers have no safety harnesses while working on buildings that will give Mumbai a makeover. 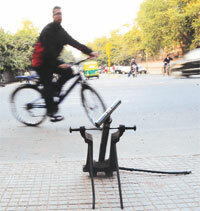 Footpaths are filled with debris, waste bags and equipments, endangering the lives of passersby. Over the months I have seen cement concrete mixers, dumpers, generators and trailers occupying the entire roads and obstructing traffic regularly. The authorities and contractors are not concerned, nor are the owners of the buildings. It is time we decided what we want: world class or third class. I am an agriculture enthusiast who graduated from Govind Ballabh Pant University of Agriculture and Technology in Pantnagar in Uttarakhand. I learned about the advantages of organic produce over conventional methods. I also came to know about the ill effects on health of the chemicals used in organic and conventional farming. Organic farming is not new to India. 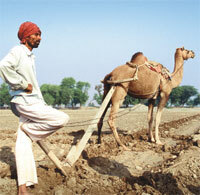 All the elements used in such farming are mentioned in the Vedas. Unfortunately, they have ceased to be a part of the present-day agricultural system. Organic is a buzz word today and creating its awareness is the need of the hour. I could not agree more with the article ‘The scientist as a babu’ (November 1- 15, 2010). As a member of one of the labs of Council of Scientific and Industrial Research, I get to see the loss of the scientific temperament. Sometimes research projects are a rehash of old studies done elsewhere. There is almost a proclivity to mediocrity. When someone is exposed, everyone goes into a huddle to smother the adverse report. We have the talent. We simply need to build an atmosphere which encourages original work and is uncompromisingly harsh on borrowed work passed off as original. We need to be aggressive thinkers. We have to reclaim the lost scientific temperament. E-waste, which includes tapes, cassettes, CDs and dry cells, needs to be handled separately from other wastes. At present, they are dumped along with household wastes. This results in excessive pollution. Separate bins should be provided for handling e-wastes at bus and railway stations, malls and shopping plazas. It is important that consumers are duly informed about e-waste. There is no doubt that cycling is a good aerobic fitness exercise (‘Cycle beats car’, November 1-15, 2010) but the metro cities in India have no riskfree lanes for the activity. In Delhi, most of the land is encroached by unauthorised temples and parking lots, and footpaths are occupied by hawkers and shopkeepers. Traffic congestion and pollution make it difficult to enjoy a walk. The article ‘Where gold rush hurts’ (July 15-31, 2010) highlights one person’s version of the Golden Rule: those with the gold make the rules. It is saddening to see that every time it is the powerless who is pushed aside by those who do so for personal gain. The irony is, the corporations that are polluting land and water have to live with them. People who advocate for the environment do so out of ignorance of facts and science. I am happy to see that the article highlights writer’s understanding of both. The article ‘Rajasthan opens farm gates’ (November 1-15, 2010) shows how India has wasted the country’s traditions and wisdom. How will the countrymen remain Indian if they dress according to the West, speak only English, spend leisure time in shopping malls and cinema halls, and eat genetically modified foods, pastas, pizzas and burgers? Each and everything is changed as per the trends of the West. What about India and its culture and traditions? In the cover story, ‘A fish moves west’ (October 16-31, 2010), Prakitapaingala is referred to as a Sanskrit text. Prakitapaingala was written in Prakrit about 600 years ago. We regret the error. We develop low-cost housing using minimum steel structures and indigenous design. Please guide us to some agencies that provide modular (pre-fabricated) blocks made of natural products like wood chips, clay, mussel shells and rice husk.